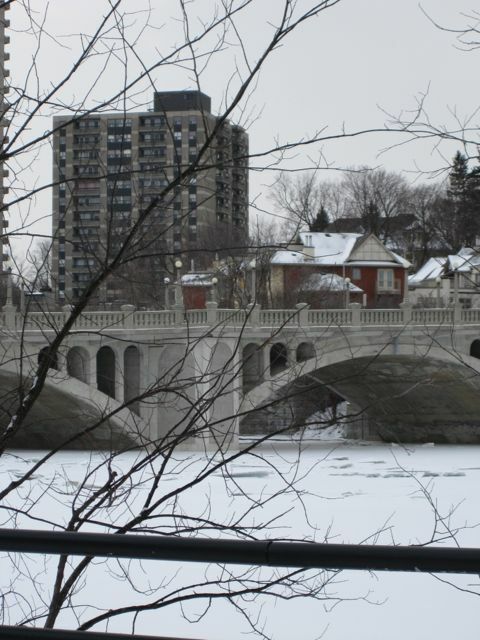 Over 145 kilometres long, the Rideau River offers picturesque views. The river flows north from the Upper Rideau Lake and empties into the Ottawa River at Rideau Falls. The Rideau Canal was formed by joining the River River with the Cataraqui River. 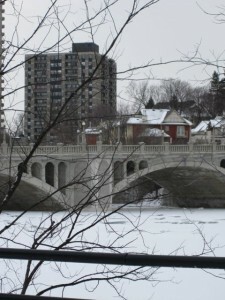 To help reduce flooding, city workers often utilize ice blasting to eliminate the ice that covers the river from Billings Bridge to Rideau Falls. They essentially cut “keys” through the ice and use explosives to clear larger portions of ice. It is a process that has been conducted for over 100 years. The Rideau River can be enjoyed yearround. In warmer months, take a stroll along the various paths, or go for a bike ride. In the winter, take in the stunning scenes with the snow and ice. There are some great photo opportunities to be had in the area. It is in close proximity to both the Kingsview Park and Vanier neighbourhoods. Want to learn more about these great neighbourhoods? Drop us a note or give us a call at (613) 238-2801.